After a week-long break, 17 of our students are returning to high school, and two others are returning to vocational school. Pray for their safety as well as provision for their tuition costs (~$7,000), which we need to raise by mid-April. We continue to plant maize and bean seed. We eagerly anticipate harvest this August. This investment not only helps us feed our orphans at our Children’s Home, but it provides lunch for over 230 students at our academy! Please continue to pray for rain and resources for sustainable, long-term solutions for water as our need for water is ongoing. We are researching several alternatives from rain water collection to water filtration systems to drilling a bore hole. If you have any experience or expertise in this area, we’d love to hear from you! In addition to the requirement for birth certificates (see last week’s update), the Ministry of Education sent a letter with a list of very expensive demands, demands for which we do not have the financial resources. As advocates for these orphans and vulnerable children, we are passionate about ensuring they continue to receive free, quality education. Pray with us for God’s guidance and protection in this situation. 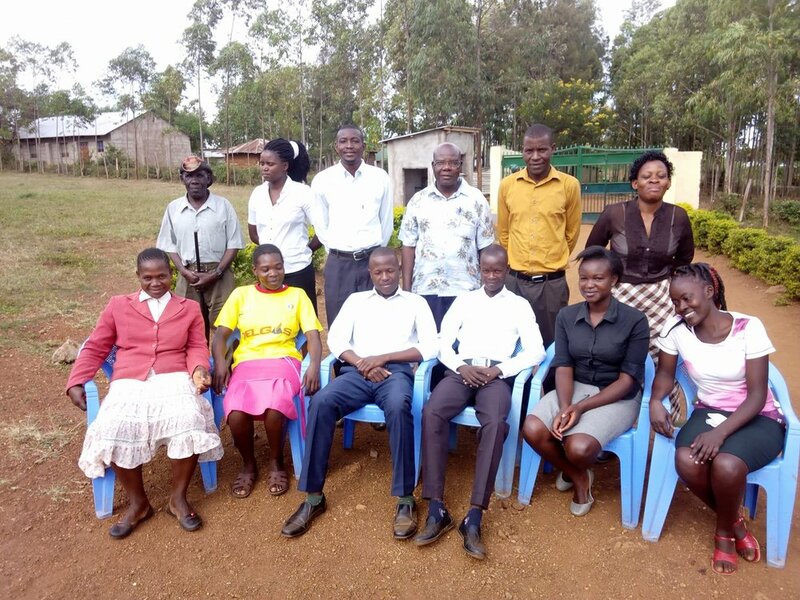 Some of our teachers and faculty (including security) at Christ Care Academy in Migori, Kenya.